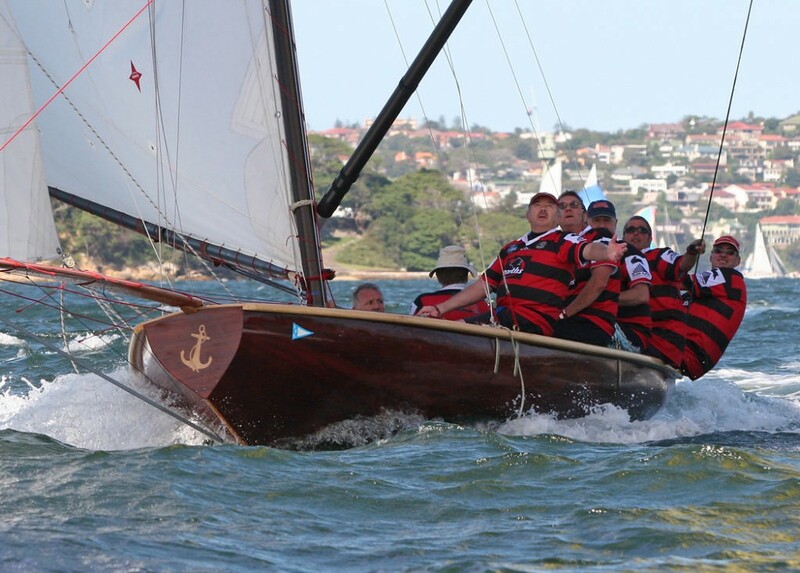 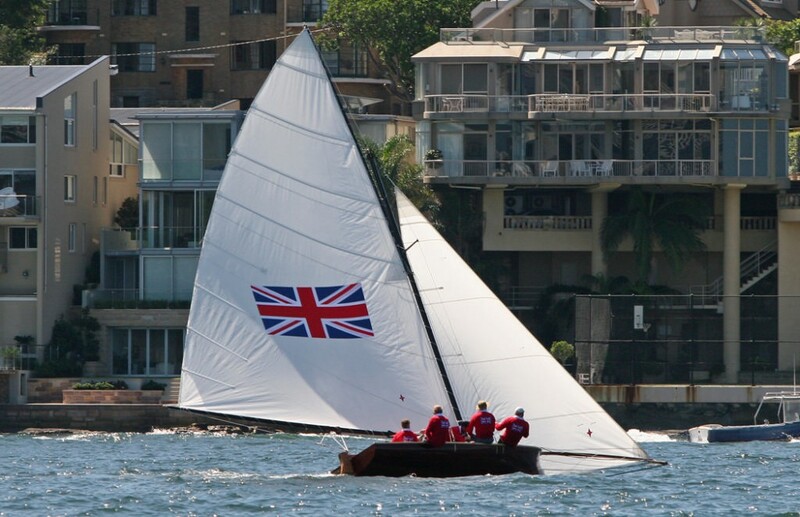 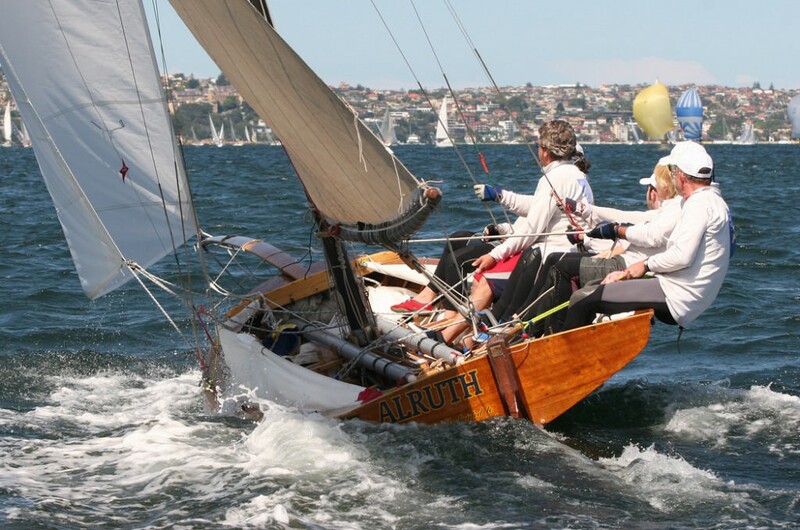 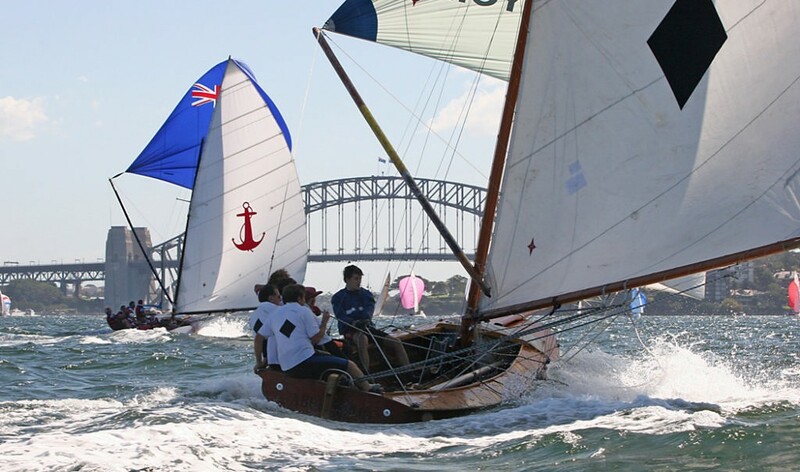 18 Foot Skiffs have been racing on Sydney Harbour for 100 years this year, which makes the 75 year old Harbour Bridge seem something of a newcomer on the scene. 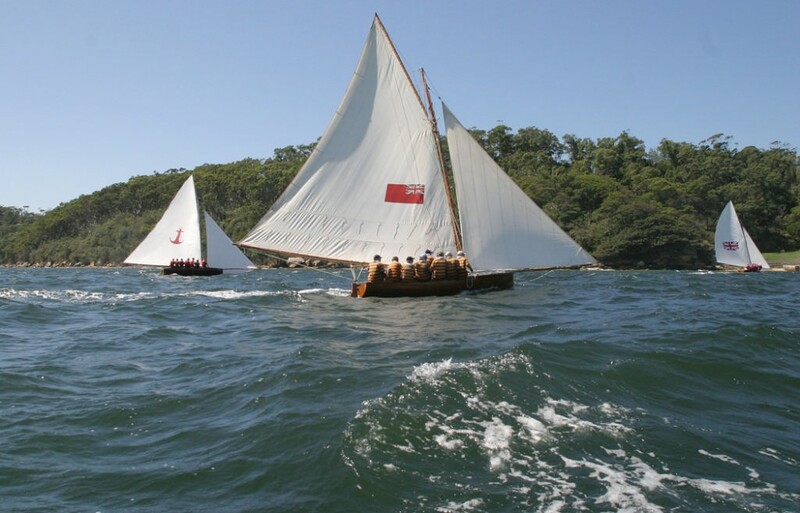 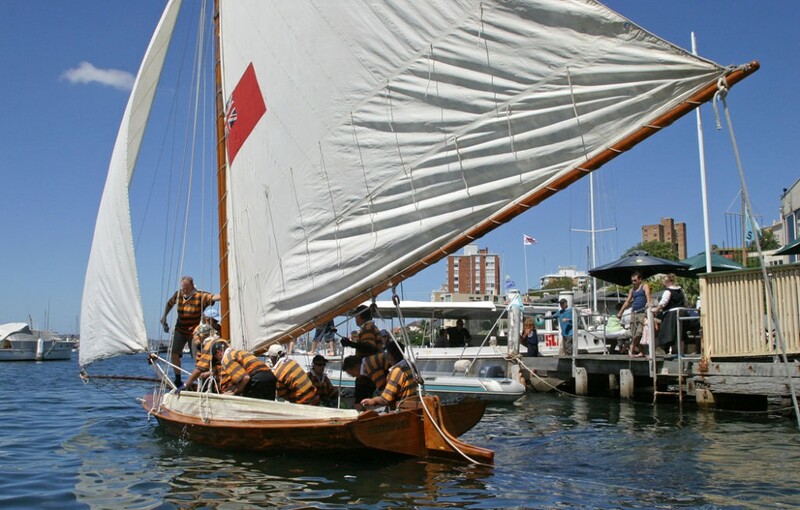 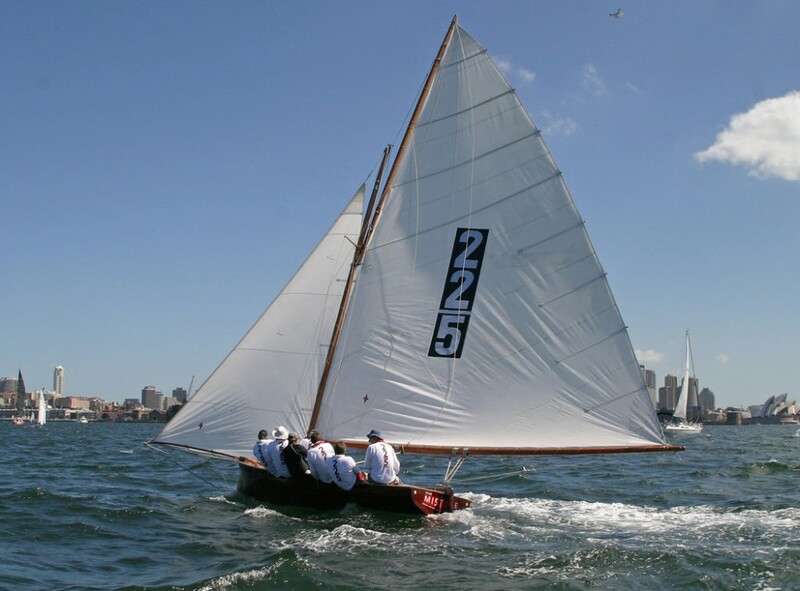 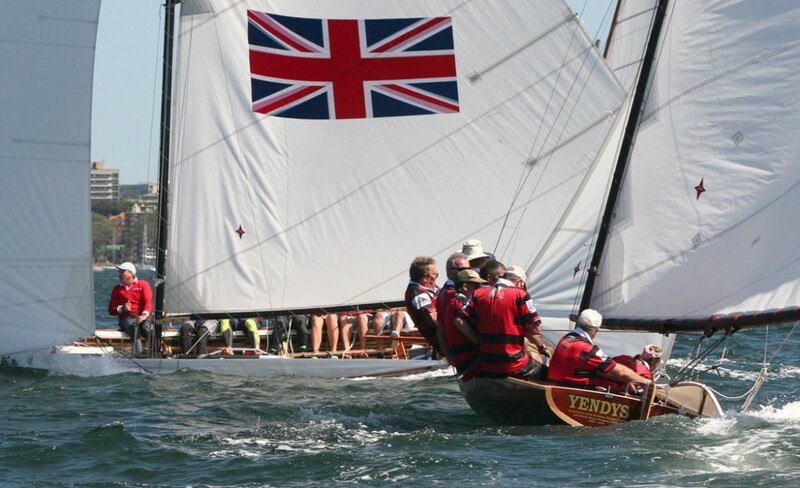 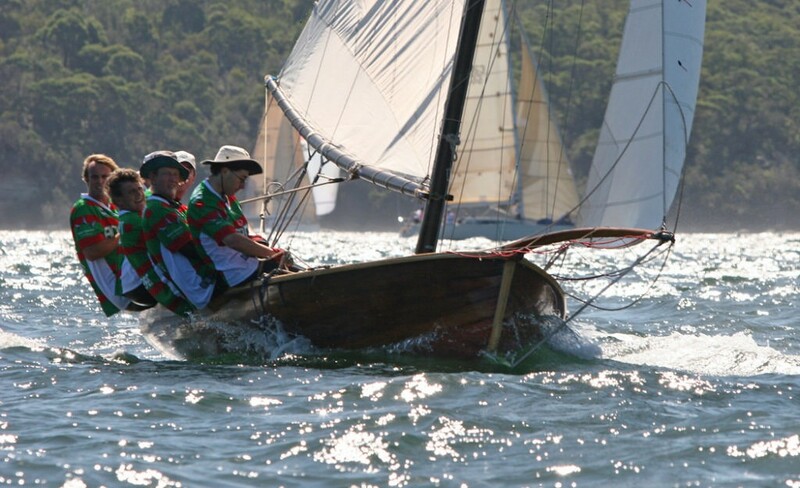 While none of the original Historic 18 Foot Skiffs that raced on the harbour between the 1900s and the 1950s is still sailing (the original Britannia and Yendys are museum exhibits these days), the revival of the first replica craft in the early 1990s kicked off what is now a steadily burgeoning fleet which races each weekend during the summer from their home at the Sydney Flying Squadron in Careening Cove. 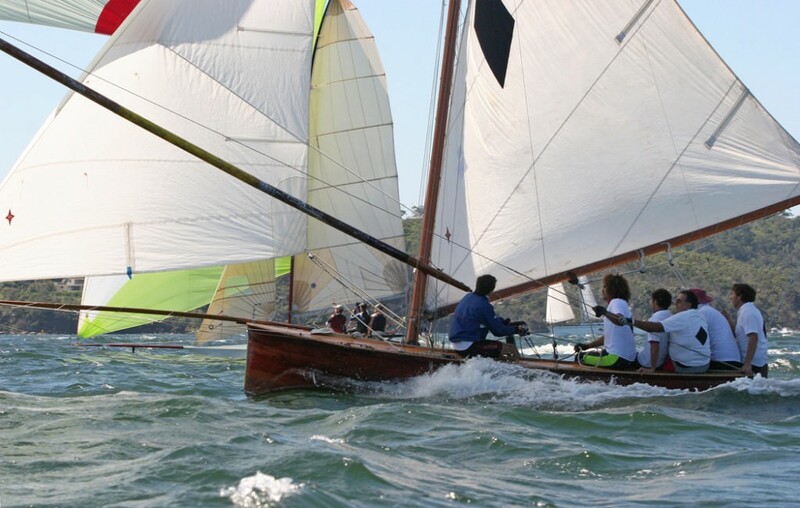 10 boats, including the not-yet-officially-launched Yendys and Australia 4, took to the water today to compete in the first of three races in the Centenary Championships. 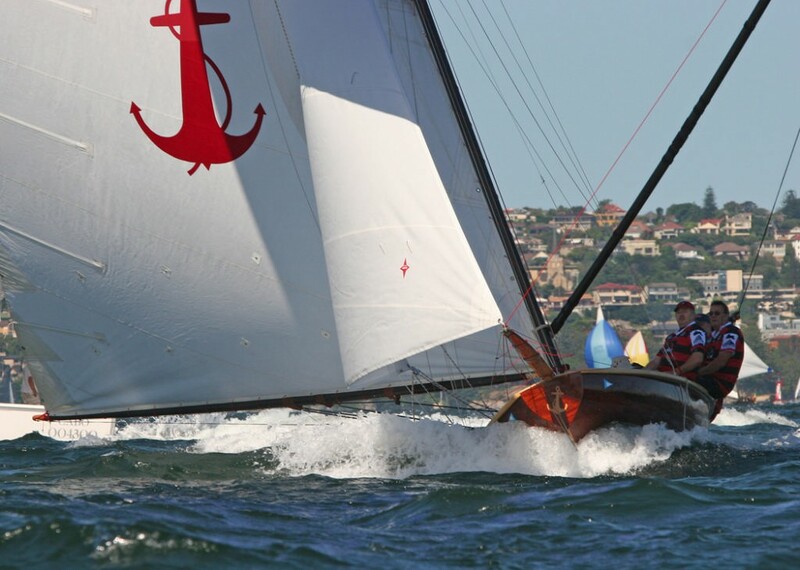 Conditions were ideal with a steadily building 12-14 knot southwest to southerly and clear blue skies making for some eyecatching sailing and dramatic downwind action. 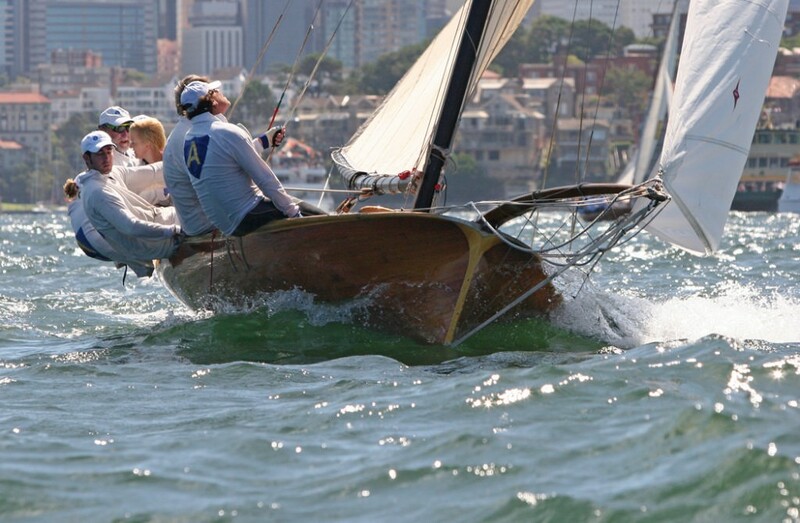 Crosbie Lorimer was out on the water capturing the colour and movement. 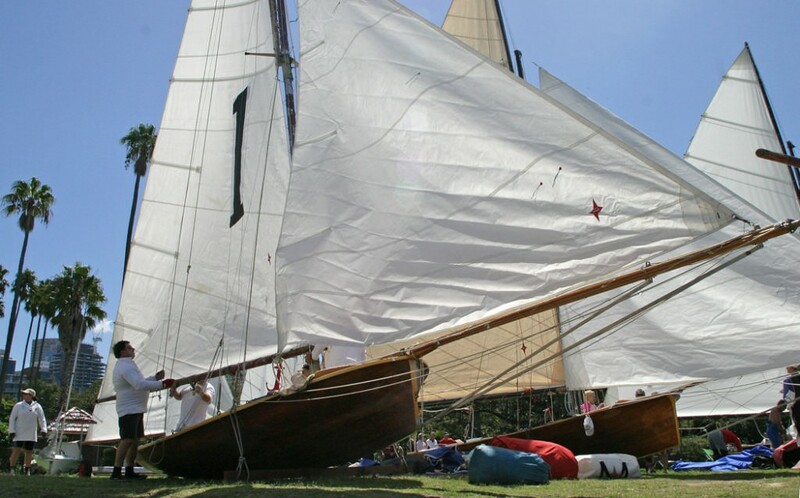 He will be racing on one of the boats later in the month, so watch out for a first hand account of what it’s like to sail at water level.